We got spirit, yes we do! 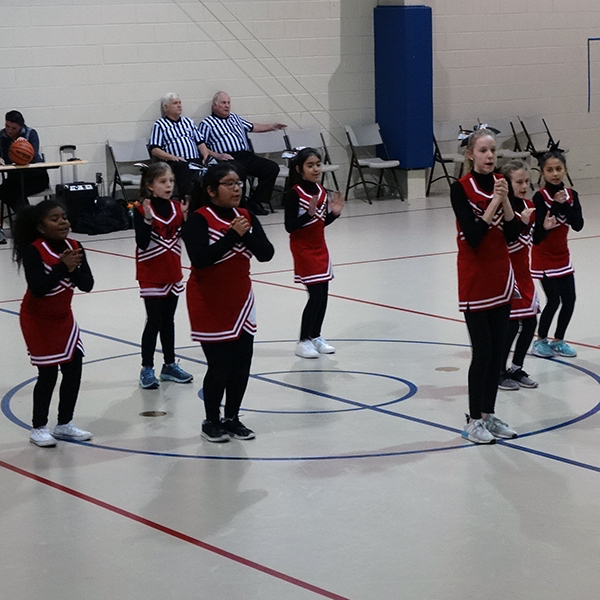 The Sacred Heart Cheerleaders and Pep Squad raise the roof for home basketball every winter. 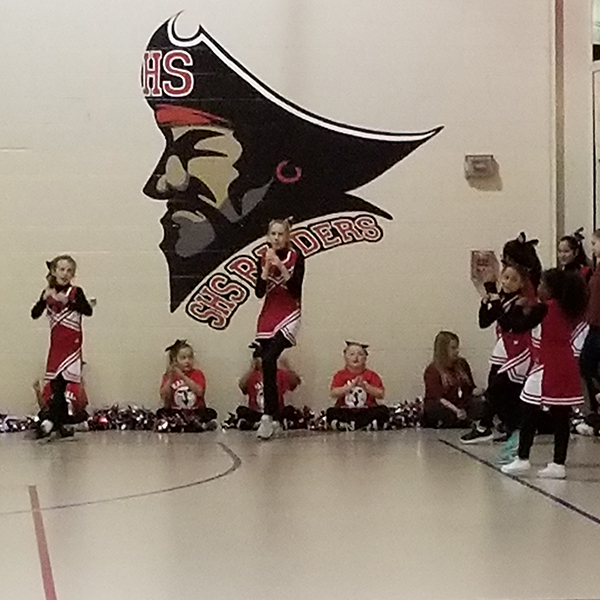 The Sacred Heart Catholic School cheerleaders support the winter middle school basketball team with excitement and zeal. The Sacred Heart cheerleaders are a big part of the school home court advantage and help ‘pack out the gym’ with Sacred Heart spirit! 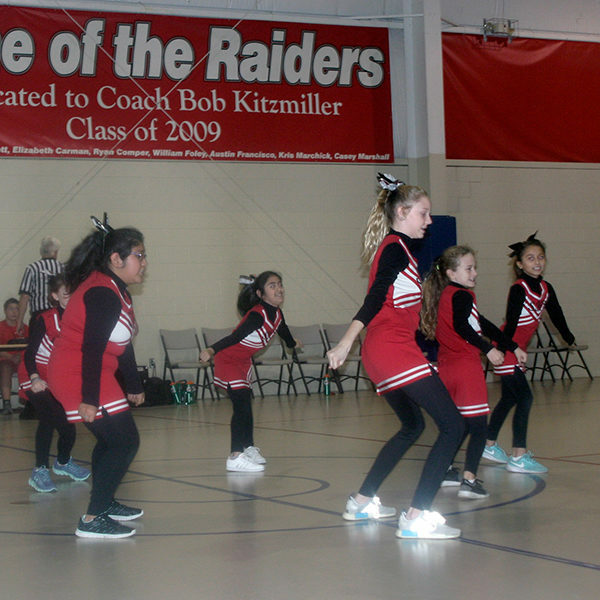 During home games, the cheerleaders perform a halftime performance. They bring a positive atmosphere to the gym, and provide a lot of fun for the entire school. Cheerleading is available to girls 5th Grade or older. The Sacred Heart cheerleaders have developed their own tradition of excellence. They routinely compete in the Danville Christmas Parade cheering competition. They are competitive. They have earned 1st place in 2015 and 4th place in 2016. The cheerleading season begins mid-November and concludes in early February. The team practices approximately two times per week and covers middle school basketball home games. Team uniforms and equipment are supplied by the school. A $25 athletic fee is required. The fee covers the entire season. 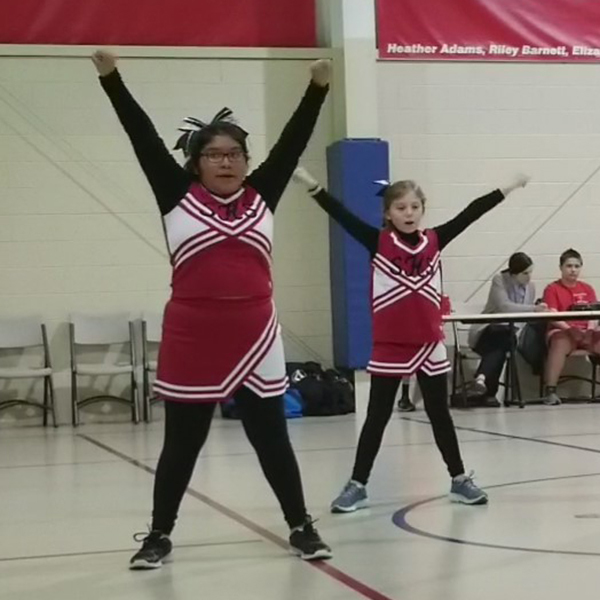 The Sacred Heart Pep Squad is available for all girls in 2nd to 5th Grade. The squad does not perform routines, but they do have their own space to provide cheering and energy. The squad is energetic and fun. It introduces younger girls to cheerleading in a healthy, wholesome way.